In 2018, Americans are expected to spend nearly $340 billion on home repairs. In other words, it’s a massive industry! One of the biggest repairs you can do is remodeling your home. And if you’ve never done it before, it can be totally overwhelming. However, if you have a plan, you’ll be able to make it happen. 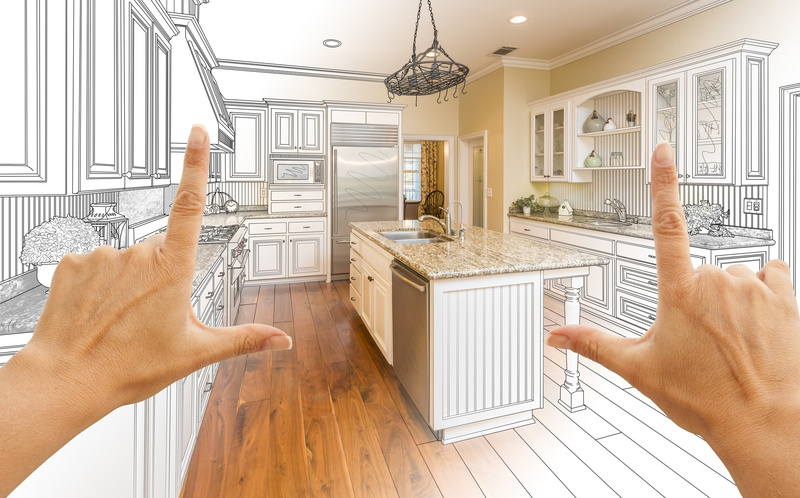 Here’s a guide to help you create a remodeling plan that will truly work. As you begin, it’s important to start by creating your vision. Think of your end result. What do you want? What are your goals? What do you want your home to be able to do and how will it look? Really take some time to think through these questions. Once you’ve done this, you’ll be able to create a plan to help you reach your goals. Also, think about must-haves. What features are 100% necessary? For example, maybe you really want a home office so you can more effectively work from home. If this is the case, what do you need in that office to make it work? Perhaps this includes a certain desk or office chair or a large window to let in some natural light. It’s also a great idea to gather inspiration. This will help you decide on what you want. When you’re remodeling your home, there are so many potential options out there. They can feel overwhelming! So take some time and look for inspiration. Look online on sites like Pinterest for layout and decor ideas. Check out homes that catch your eye and see how you can incorporate elements of their design into your remodel. Next, it’s time to pick your design style. As you look for ideas online, you’ll come to find which styles catch your eye the most. Once you’ve spent time researching, it’s time to decide which style you want to go within your home remodel. And there are many more! These are just some of the biggest trends right now. No matter what, create some mood boards filled with inspiration. Soon, you’ll need to make decisions on paint colors, flooring styles, furniture, and accessories. If you’ve chosen a design style, these choices will be much simpler. Now, it’s time to talk about the budget. Obviously, most people don’t have endless amounts of money sitting around for their remodel. It’s normal to have to work in the constraints of a budget. Here’s how to set a realistic budget for your project. Are you adding a new room? Are you getting new flooring? Are you getting new furnishings, including appliances? Go through each part of your remodel and find a realistic estimate for it. You’ll want to think about the material cost, the cost of labor, and any necessary permits. After this, add it all up. Is it in line with your estimate? If so, great! If not, see what you can do to decrease costs. It’s time to pick your remodel team. If you want to work with professionals, it’s time to get quotes. Start by researching contractors in your area and choose two or three to interview. Look at their online reviews as well to see what people say about them. Then, after interviewing them and getting a quote back, you’ll be able to make an educated guess. In the Houston, TX area? Get in touch with our team for a quote today. If you want to go the DIY route, that works too! In most cases, you’re still going to have helpers, whether they’re family or friends. Make a plan to find out who is going to help with what. That way, you’ll all be on the same page and can stay organized. It’s time to create a remodeling schedule. This will help you do things in the right order. Talk with each of the people involved and find out how long their part of the project will take. That way, you can make a schedule that makes sense and takes in to account all the moving parts of the process. If you’ve never done a remodel before, work with a professional to make a timeline. They’ll be able to help you know what tasks need to happen first. In any construction project, there are unexpected moments. No plan ever goes exactly as it’s planned on paper. Know that you’ll probably run into a few setbacks as you go. Things might take longer than planned. You might not be able to get a certain material that you wanted. Sometimes, things cost more than estimated as well because of increased labor or material costs. So as you enter a remodeling project, know that you’ll most likely encounter hiccups in your plans. Just take things in stride and you’ll get back on track in no time. There you have it: the complete guide to creating a home remodeling plan. Now that you’ve gone through this guide, it’s time to make your plan! If you have any questions or want to know more, contact us any time. And if you’re in the Houston, TX area, our team can help make your dream a reality.